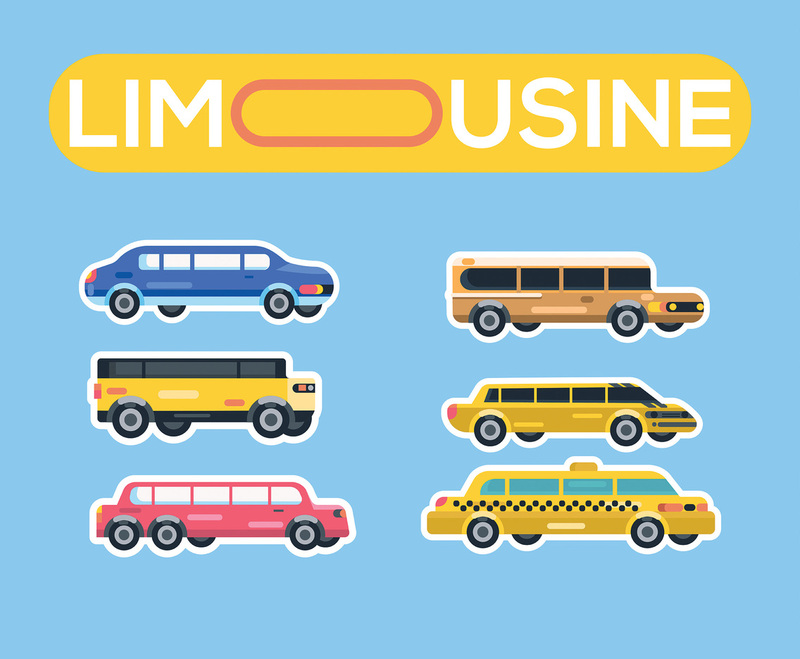 Here are six limousine icons depicted in a blue background. Each of them represents a different type of limousine. I hope it's useful for your design projects.